Sunday was 1/2 price day at the library used book sale. 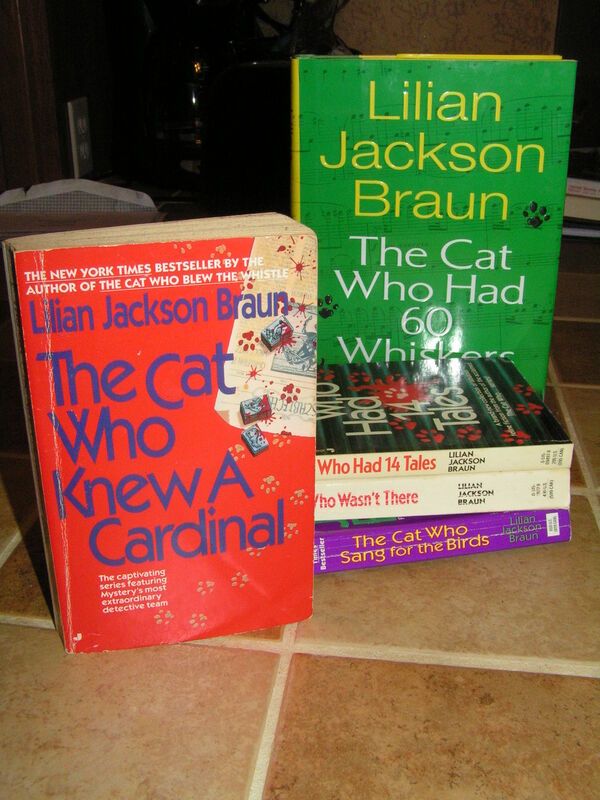 I was going to resist, but I used the excuse of going to track down the last two book in the Cat Who… series for my grandma. And, what do you know? I found them. The other three on the stack….well, they’re for me. This series is my new grading favorite because they are such light reading, but at the same time, the pages are splashed with exquisite vocabulary. Then, there is this stack of books that I justified because of the social justice class I’m teaching. I should get bonus points for finding Who Really Cares by Brooks since I added it to my Amazon wish list about a month ago after having a long discussion with my sister about the author and his ideas. Here’s the random books I picked up. 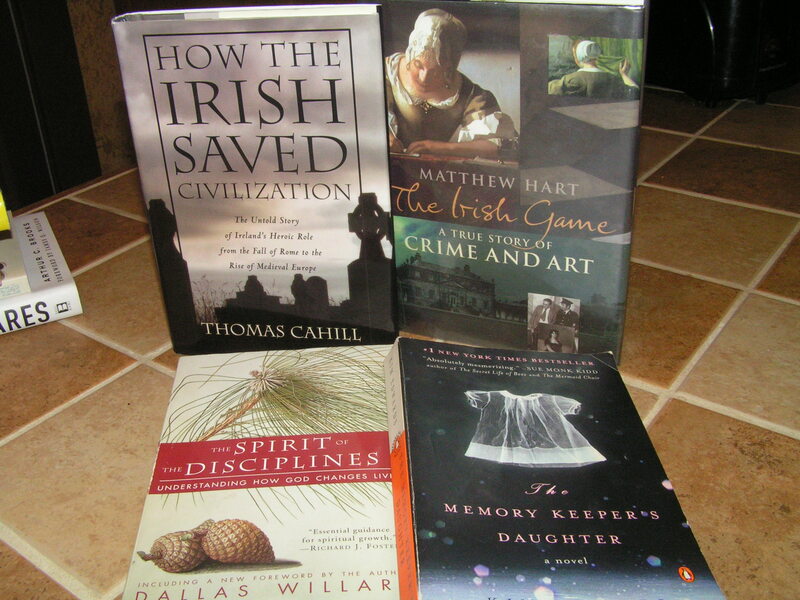 It seems I had a wee bit o’ an Irish theme. 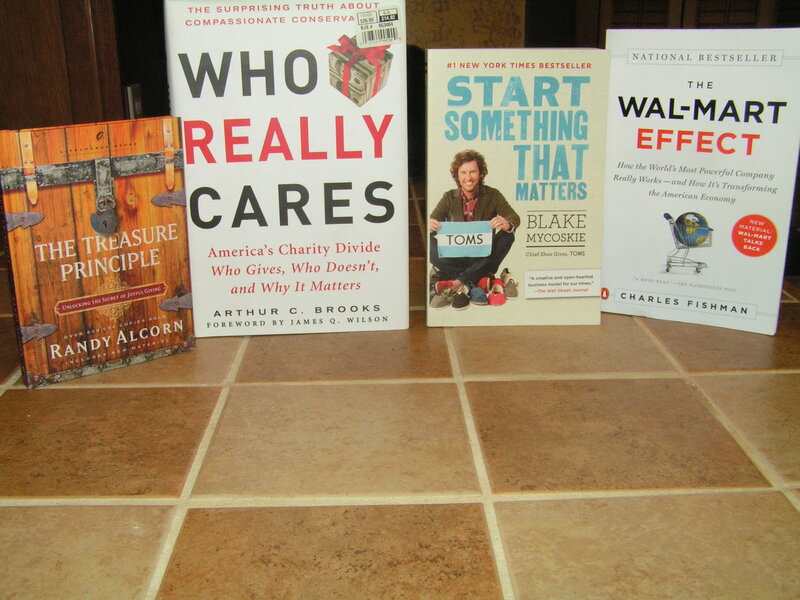 I picked up some fun books for my dad too, but I’m keeping them out of the limelight. It’d be a shame to give away part of Father’s Day. 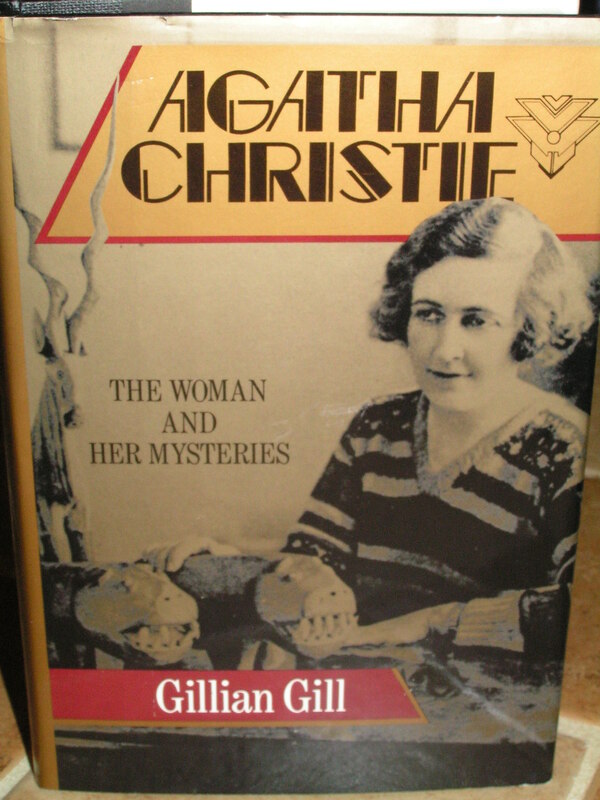 Then I found an Agatha Christie biography! I’m always on the Agatha Christie hunt at book sales. Seriously, the thrill of the hunt is so intense that one time I think Todd was gearing up to get my list of missing Christie books from me, so he could track them down. But, then he realized he’d be taking the fun out of the hunt for me. I thought that was a super romantic moment when he realized that. Yes, I’m a bit of an Agatha Christie nerd. That is why it was particularly exciting to find not one, but…. 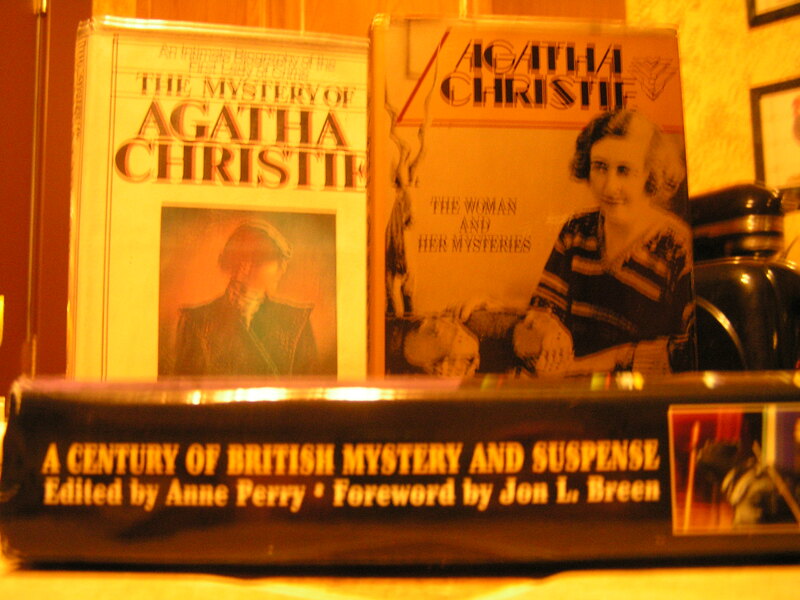 two Agatha Christie biographies. 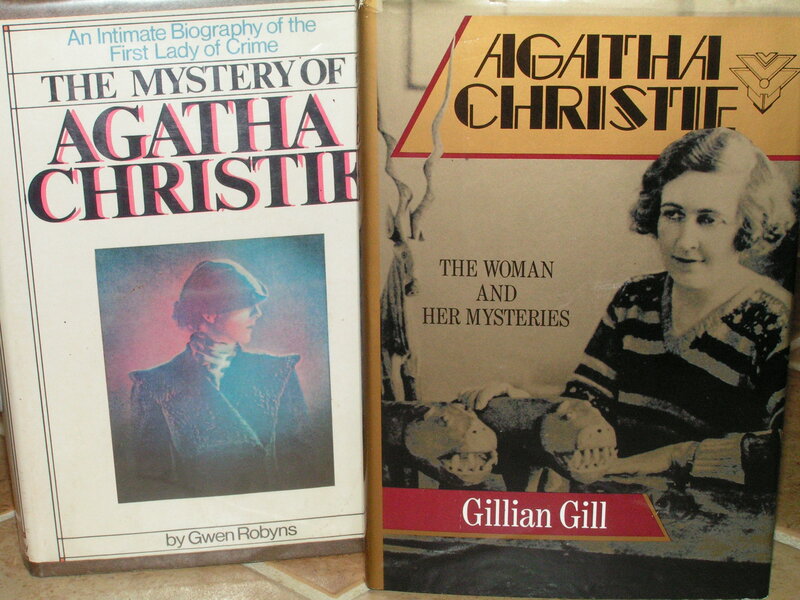 Apparently a fellow Agatha Christie lover was clearing out her collection. There was an Agatha Christie trivia book too, but since I’ve been exposed to the plot of And Then There Were None at least three times and still couldn’t tell you who did it if you asked me right now, I figured I could pass over the trivia. I threw in a collection of 20th century mystery short stories, and the day was complete. Oh, local library, I enjoy supporting you. ** P.S. Sorry for the funky spacing of pictures and text. I need to brush up on my blogging skills, but right now, it’s more important to go get my laundry that’s going to wrinkle. I’m adjusting to my Kindle, but I don’t foresee myself giving up printed books anytime in the near future either. I don’t know if you’ve ever heard of BetterWorldBooks.com, but it is this amazing book website that I use. Their prices are great, and for every book you buy, they donate a book to further literacy initiatives somewhere in the world. I just checked and you could snag Who Really Cares for $4, which includes the shipping. I told you they’re amazing 🙂 If you read it, I’d love to hear what you think of it!